Beautiful Gift Box included Free! IMPORTANT NOTE: I'm only selling the first three of these at this incredible price as an introduction to get a few startup feedbacks (which I greatly appreciate) but after that the price will go back to $255 which is what I normally sell this band for. 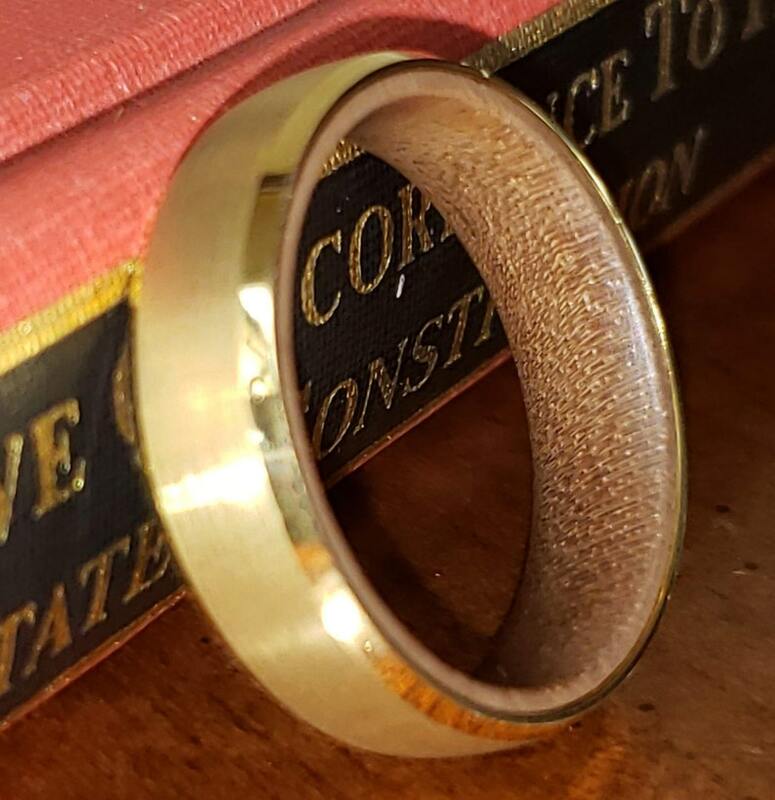 I was actually really looking for something with a nice earth tone to add to my collection of rings and came up with this new design combining the hardest known metal of Tungsten Carbide in a brushed matte gold finish, beveled edges, and authentic African wenge wood. - Includes a Free Elegant Jewelry box for best presentation and protection of the ring. Perfect Gift for Christmas, Birthday, Anniversary, Wedding, Engagement, or Valentine's Day Gift. - Mens Wedding Bands & Unisex Tungsten Wedding Band Top Quality Rings for Men and Women. Best gift for him, husband, dad, boyfriend & gift for her as well. - Hypoallergenic Qualities, does not Tarnish or make your skin green. - If you have any question, I typically answer in under an hour! Special offer details: 10% OFF my TOP 10 most popular rings!